Since I did a post on my favourite Catrice products not too long ago, I figured I could do the same for KIKO as it's another brand I love and always go back to! 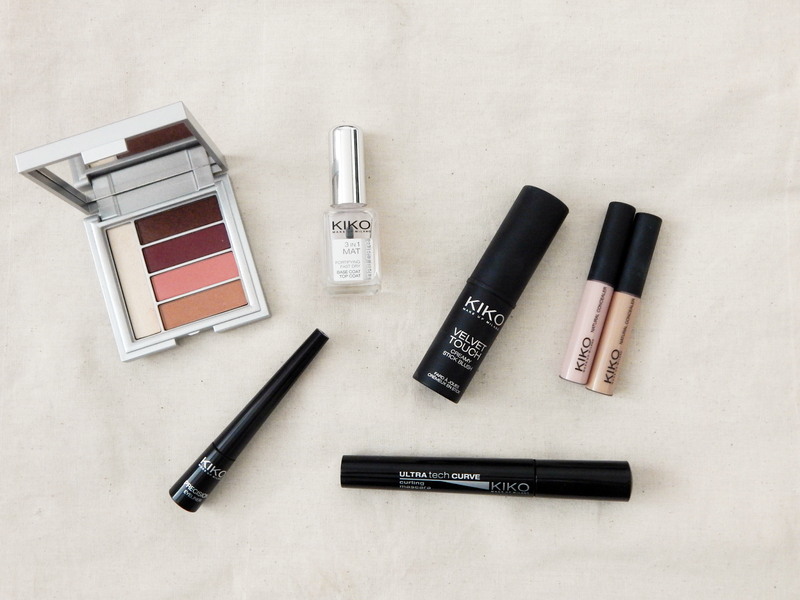 I know that not every country has KIKO stores, but their online shop actually delivers to a lot of countries - so no matter where you're from, take a look, and you might be lucky even if there's no stores around you! 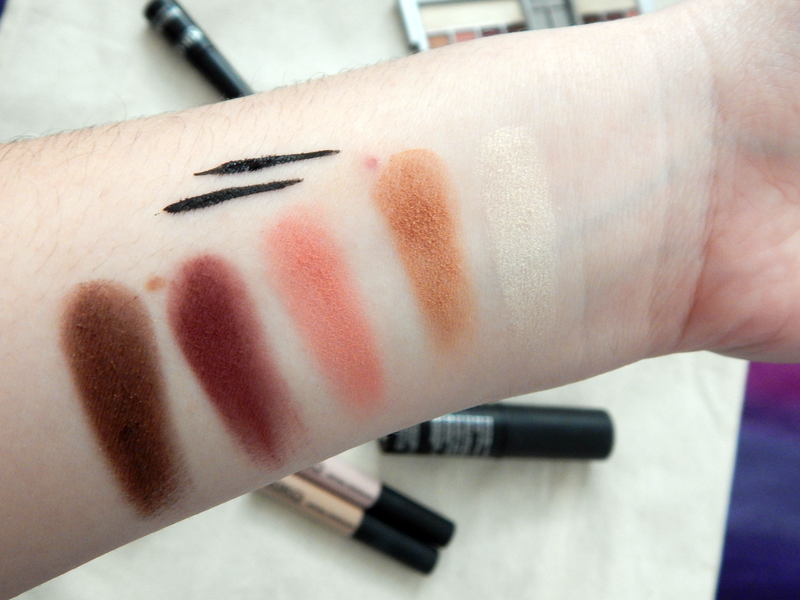 # Eyeshadows: I've swatched a lot of KIKO eyeshadows in the past, and no matter if limited edition or in the regular line, they're great quality for the price. I tend to mostly buy LE eyeshadow palettes from KIKO though, because their LE packaging often lures me in and they never shy away from putting matte shades into their palettes, which not a lot of cheaper brands to unfortunately. I've swatched an LE palette from last summer on the picture above and as you can see, the shadows have a really nice colour pay-off and a great texture! # Ultra Tech Curve Mascara: I originally picked this mascara up on a whim because I knew my current one was getting empty and I wanted to try something new. As the name suggests, this mascara comes with a curved wand that works really well for lengthening and thickening the lashes. The formula is not too wet/tacky and not too dry - I feel like it's always hard describing mascara, but that's the only way I can put it! That's it for my top six! One honourable mention would be the KIKO Brush Cleanser, such a nifty product!